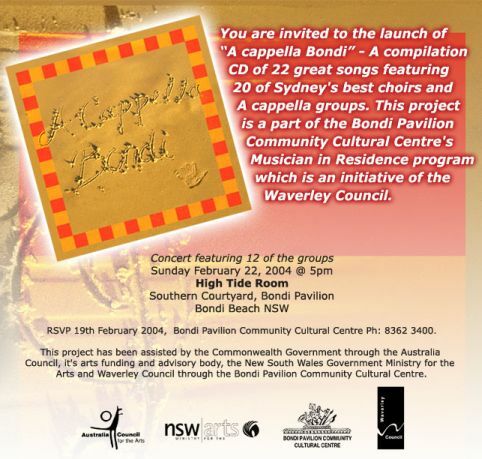 In February 2004 The Honeybees performed at the launch of "A Cappella Bondi", a CD highlighting the breadth of Australian a cappella music. This project is part of Bondi Pavilion Community Cultural Centre "musician in residence" programme. 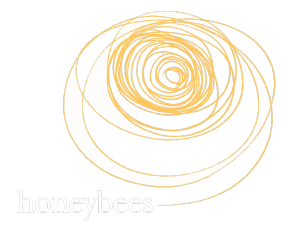 The CD features The Honeybees singing "Glory", recorded at the Pavilion back in 2001. You can find out more about "A Cappella Bondi" by contacting Peter Winkler at the Bondi Pavilion Community Cultural Centre on 02 8362 3400.